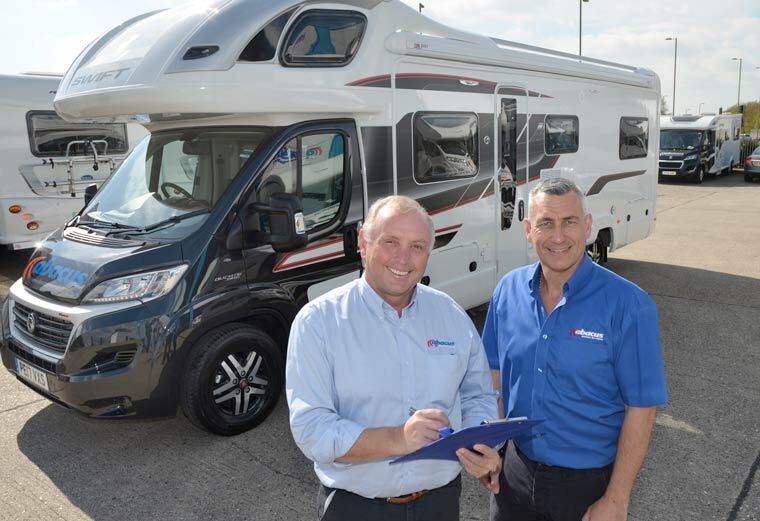 Abacus, the Ferndown and Andover vehicle hire specialists, adds two new six berth vehicles to its growing fleet of motorhomes as bookings increase. It was in 2006 that Abacus, the Ferndown and Andover vehicle hire specialist, launched their motorhome hire division with four vehicles. This year the fleet grew to 50, following the addition of 12 new vehicles to the number available for weekend and holiday hire. The company reports bookings for the fleet has been higher than last year by 15% so far this season with the demand for events including Glastonbury, Goodwood Festival of Speed, and the F1 at Silverstone reaching previously unrecorded levels of bookings. This has been aided by poor exchange rates creating more staycation-based holidays and an Abacus price freeze from last year. Also vehicles are no more than three years old and some are available for dog owners to hire.